After a disastrous end to 2008, the U.S. auto industry slid 21% in 2009. New car sales were down from more than 7 million (53.2% of the overall market) to 5.7 million in 2009 (54.6% of the overall market). Two Toyotas led the way for the first time since 2006. There were three Toyotas in the top ten for the third consecutive year. The top-selling Camry fell below 400,000 annual sales for the first time since 2001, itself a year of great tumult. Total Corolla/Matrix volume slid below 300,000 units for the first time since 2002. This was nothing abnormal. Only one member of this group of America’s ten most popular cars produced year-over-year improvements in 2009. 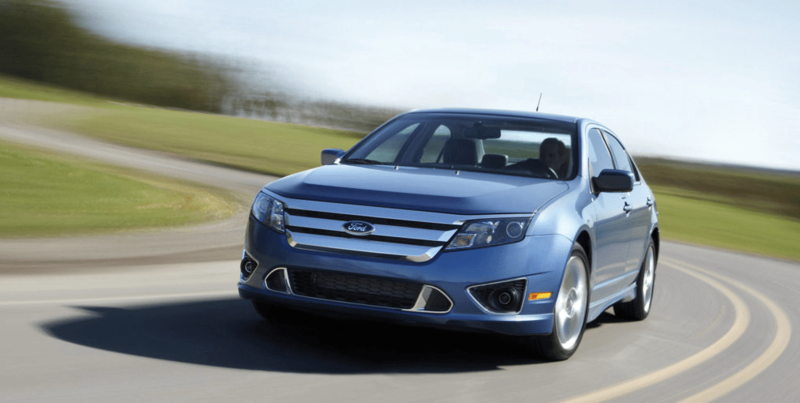 That car, the Fusion, was the only one of Ford’s five car model’s to post an improvement, and it was heavily revised for MY2010. Total Ford/Lincoln/Mercury car volume was down 11%. Chrysler Group car sales plunged 46%. Passenger car sales at General Motors was down 30%. Aside from cars which weren’t available throughout 2008 (and thus produced exaggerated YOY gains in 2009) big gains were produced by the Audi A5 (up 56% to 9800), Hyundai Accent (up 35% to 68,086), and Nissan Z (up 27% to 13,117).